Last Saturday after a 6am start and 3 classes taught I headed over to Wilmslow to indulge in some healthy grub which I most definitely needed! Neon Health Kitchen is located in the heart of Wilmslow and offers healthy juices, smoothies and meals that don't leave you feeling like you've taken a step backwards after training. The cafe/restaurant offers both indoor and al freso dining so you can dine in the sun or stop off for a coffee whilst taking the dogs out for a walk. It's varied menu gives you the option of clean breakfasts to light snacks and burgers, made fresh and with real, healthy ingredients. 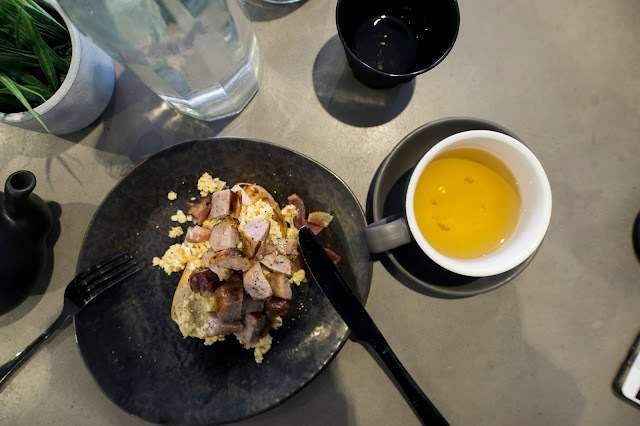 I opted for the scrambled egg on sourdough with added sausage and bacon, top this off with a peppermint tea and a ginger shot, it set me off to a strong start for the rest of the day. 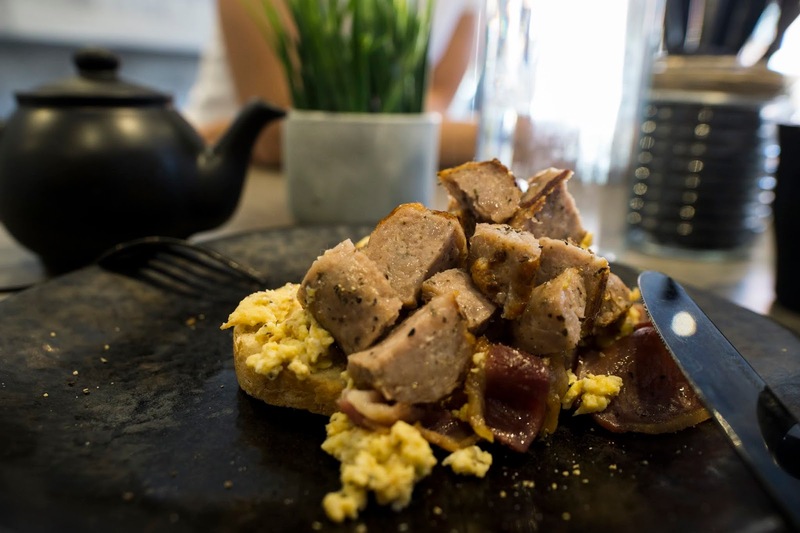 And although you may be put off at the thought of eating in Wilmslow with the usually overpriced dining, this place is very affordable and no more expensive than other health cafes. Plus, if you're looking for a way to stay clean everyday as well as when you're visiting, Neon offer meal prep, all home cooked and freshly prepared meals that you can grab from your fridge and eat on the go. If you've tried your own meal prepping, you know how much time it takes, eliminate the time and effort and have it brought straight to you, a simple way to stay on track. 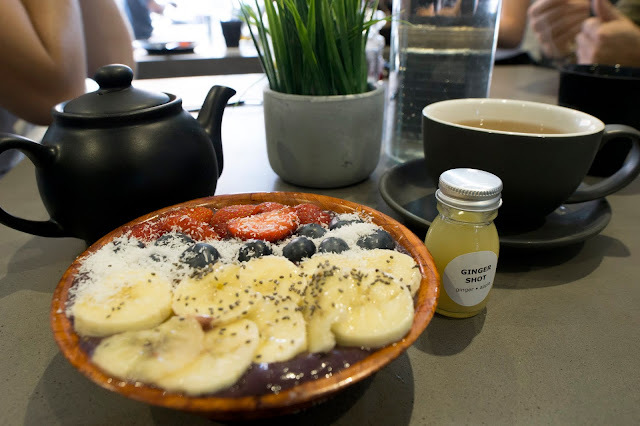 So, if you're craving an acai bowl or some good breakfast grub, get down to Neon Health Kitchen and give their menu a go, delicious, healthy food without feeling as though you've had a splurge.